Muyil: Culture And Adventure In One Place. Quintana Roo. Community Tours Sian Ka’an is a community company that has been working within the reserve and local communities for 15 years. They offer 10 different tours and on this occasion we visit Muyil. 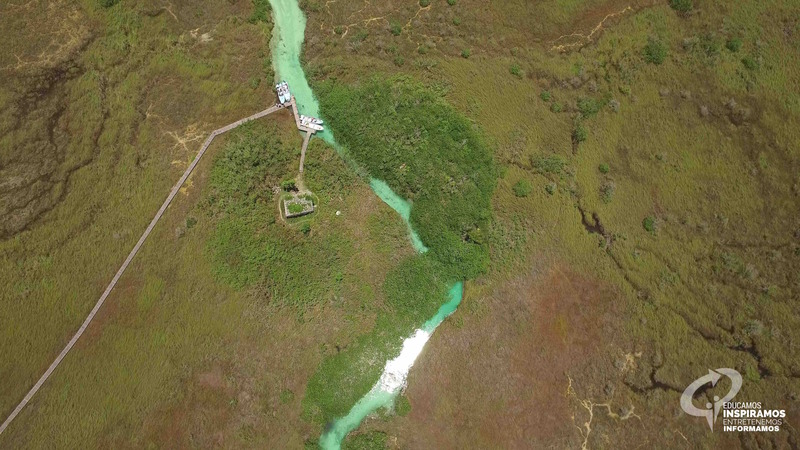 It should be noted that this Tourism company will become the first Carbon Neutral community operator in Mexico through the implementation of good environmental practices that were announced within the framework of its 13th anniversary. 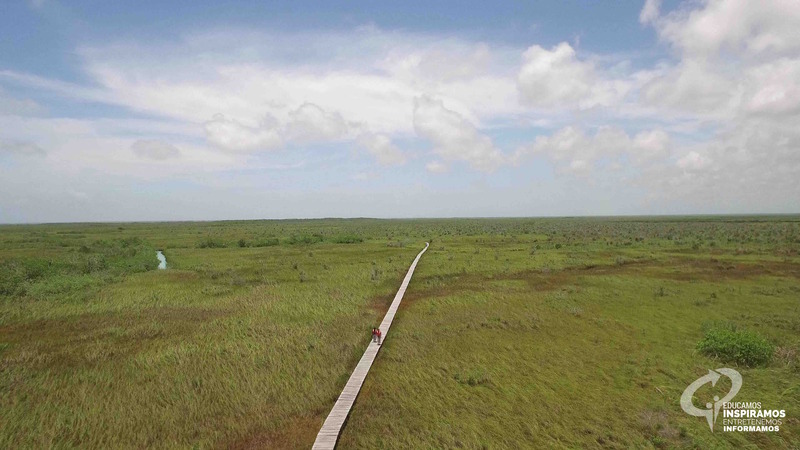 Just 20 minutes from Tulum is Muyil, this place offers a unique experience, not only the magic of the archaeological zone in the middle of the jungle or its different lagoons that are connected by channels, Muyil is more than that, the energy that keeps this place is unique. An expert guide will walk you through the different paths that connect the beautiful forest and from which the different temples stand out. Some of them have not yet been fully restored. This site is currently one of the most important in the reserve. The Archaeological Zone of Muyil has several different types of Mayan buildings, each building tells us a little more about this great civilization. 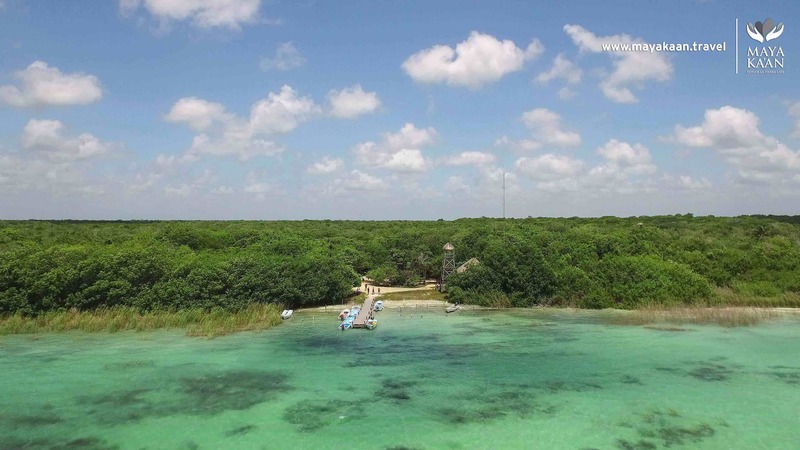 “El Castillo” is the highest structure of the north-central coast of Quintana Roo and is 17 meters high, according to some research this place was built in two stages. One of the particular features of “El Castillo” is that in the upper part of it is “la torre”, a part adorned with stones simulating thorns. 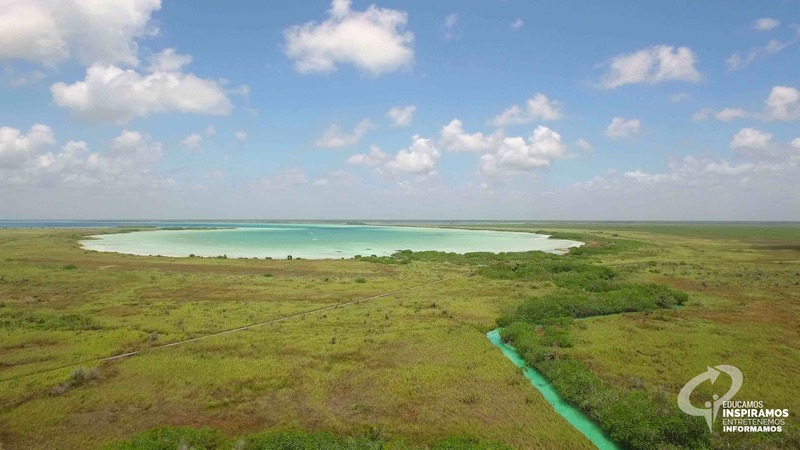 This interesting Mayan archaeological zone is located within the Sian Ka’an Biosphere Reserve. It has been an important site of ceremonial discoveries that were part of the Mayan rituals. After discovering a bit more of the history of the Mayas, you will cross an interpretive trail, where you will be able to observe different flora and fauna characteristic of the area. Zapote, cohechen and ficus, is only part of the flora that houses this jungle. In addition to that you can see up close different water outlets from which emanates fresh water springs. 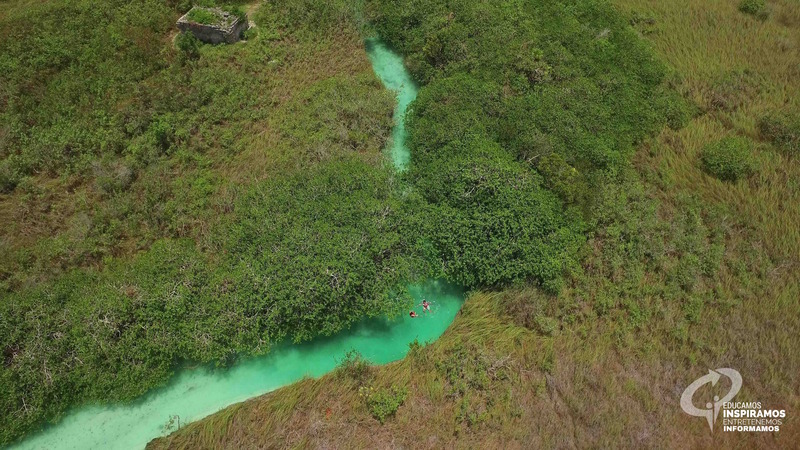 The best way to have a panoramic view of the jungle and the lagoon that connects with the Caribbean Sea is to climb the viewpoint that is located at the end of the trail. Surprise yourself with all the gifts that nature will give you! After doing this tour, you will arrive at the lagoon. The first sight to this one is impressive, its blue tones that contrast with the green of the forest is unique. A boat will take you to this part of the adventure, stroll along the connecting channels and discover another part of the ruins. This site is perfect to follow the course swimming and learn more about the fauna and flora that inhabits the place, letting you take the flow. On the way through the canals, we could observe some orchids, different types of plants and fish that inhabit this beautiful place. Without a doubt Muyil was a unique experience, it has the perfect mixture between cultural and adventure, and the majestic landscapes that give us this natural place are enchanting. Muyil is a part of the Maya Ka’an destiny. Laura Torres is a Psychologist with experience in digital marketing and human resources, passionate about tourism, advertising, gastronomy, cultural diversity and extreme sports such as diving with sharks and sky dive. Lover of independent cinema, literature, writing, photography and music. Creative and curious to experience new things constantly. She has directed digital marketing strategies for different brands in Playa del Carmen and Los Cabos. She has been a social network consultant for more than 30 brands in Cancun, Playa del Carmen and Los Cabos, among them The Baja California Sur Tourism Promotion Trust, the Tourism Promotion Trust of the Riviera Maya, the Association of Hotels of the Riviera Maya and the Association of Real Estate Professionals of Playa del Carmen. http://www.besocialplayadelcarmen.mx/wp-content/uploads/2017/09/muyil-quintana-roo-mayakaan1.jpg 2160 3840 Be Social Corresponsal https://besocialplayadelcarmen.mx/wp-content/uploads/2016/08/besocial-logo-300x146.png Be Social Corresponsal2017-09-01 11:22:532017-09-03 08:45:12Muyil: Culture And Adventure In One Place. Quintana Roo.